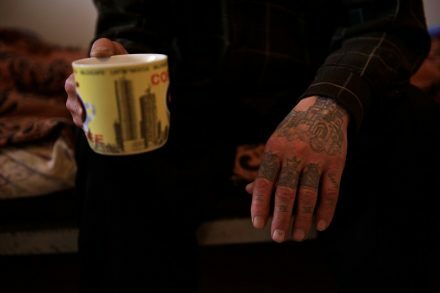 For the past two years PRI has been working with the national and local authorities in Kazakhstan on a programme designed to improve prisoners’ chances of getting work and being successfully reintegrated into their communities on release. In 2010, the responsibility for social and economic reintegration of prisoners was passed to the local authorities (akimats) and they have adopted a number of different ways to meet this challenge. The size of the task should not be underestimated – 63% serving prisoners have already been imprisoned on a previous occasion – and many akimats were unclear about how to deal with this responsibility. The final conference in this programme funded by the Norwegian Ministry of Foreign Affairs took place last month (October) in Astana. Presentations on the experience of Norway and the UK were followed by contributions and shared experience from the perspective of the Ministry of Labour and Social Care, local akimats, ex-prisoners and NGOs. They illustrated the many practical points that need to be addressed to ensure that training and education for prisoners meets the needs of the local job market. While agreeing that vocational training is often needed to help a former prisoner get a job on release, the devil is in the detail and there is no magic solution. One speaker from an akimat illustrated this graphically when he said: ‘employers do not want graduates – they want crane drivers’. Another commented that some of the equipment available for training prisoners is outdated and this will not help them find a job where the workforce needs to know how to operate more modern machinery; another suggested that tax breaks may encourage employers to give jobs to former prisoners who have no prior experience and need on-the-job training in order to be productive. Another speaker pointed out that employers were taking more of a risk employing an former prisoner and should arguably pay the less to compensate for this. Others agreed there was a need for a holistic approach, talking about the need for ongoing drug treatment, halfway houses and the essential need for family support. However, giving a positive account of personal experience, an ex-prisoner spoke eloquently of the support he received from the halfway house he found in Karaganda. It helped him give up drugs, he was able to find work, and he re-established contact with his family. His story was a perfect example of the need for an integrated approach that prevents someone from being released into the same circumstances that led them to the crime in the first place. Read a feature about this programme in our 2012 annual report.